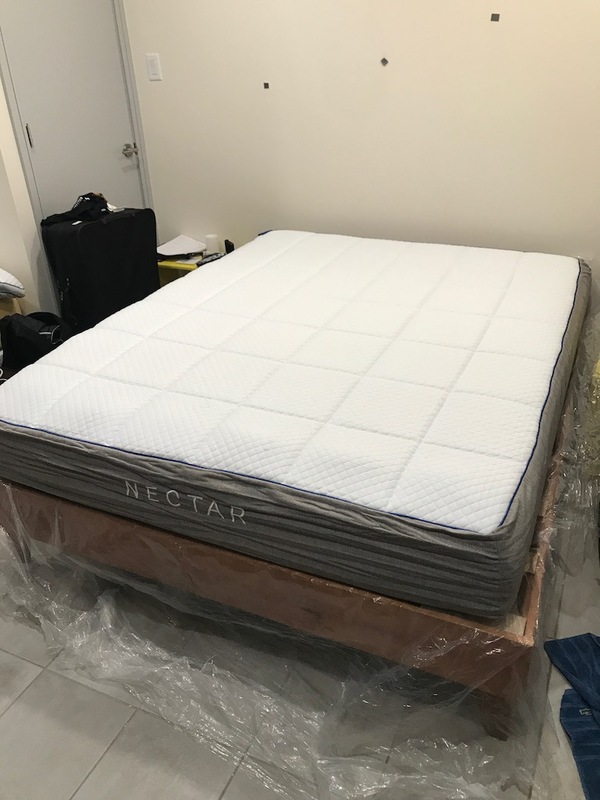 Nectar Sleep Mattress Review was recently completed by the MattressJunkie.com team. Nectar sent us a queen sized mattress to review. Nectar’s goal is to give sleeper’s a heathier mattress to sleep on. 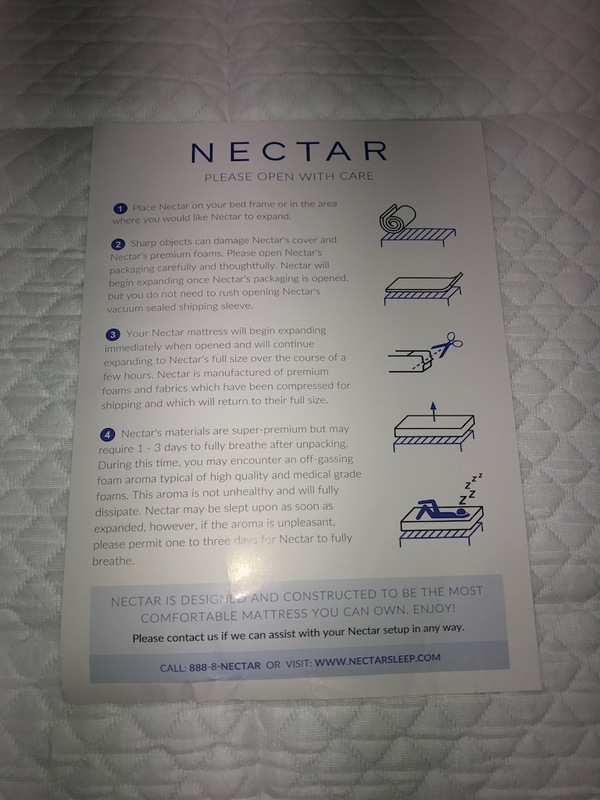 Nectar describes their mattress as firmer for support, softer for rest, and a touch bouncier than other premium memory foam mattresses on the market. Nectar has a full 365 day sleep trial and a lifetime warranty. Nectar is confident in their mattress so we couldn’t wait to check it out. Tell me more about the Nectar Sleep Mattress cover. The Nectar Sleep Mattress has a Tencel cooling cover that promotes air circulation, heat wicking, and is bedbug resistant. The cover is removable for easy cleaning. 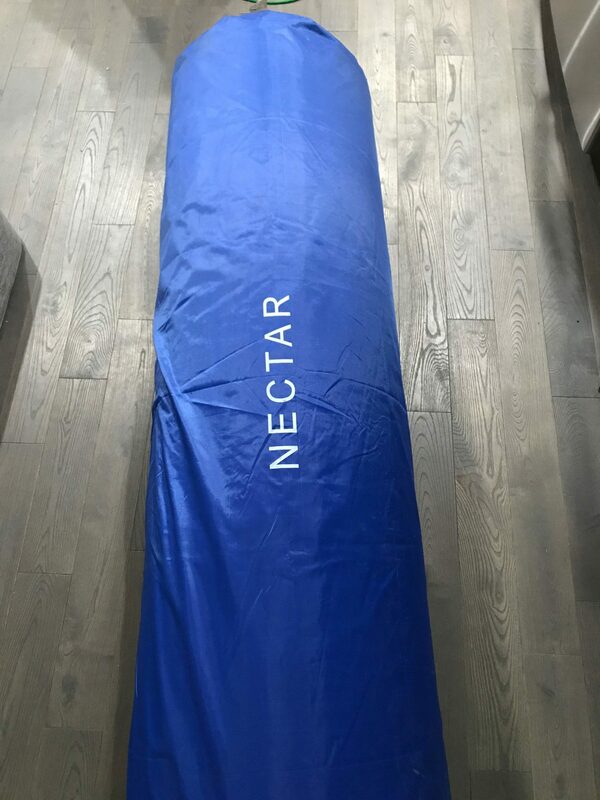 What’s under the Nectar Sleep Mattress cover? The Nectar Sleep Mattress has 4 layers below the cover. 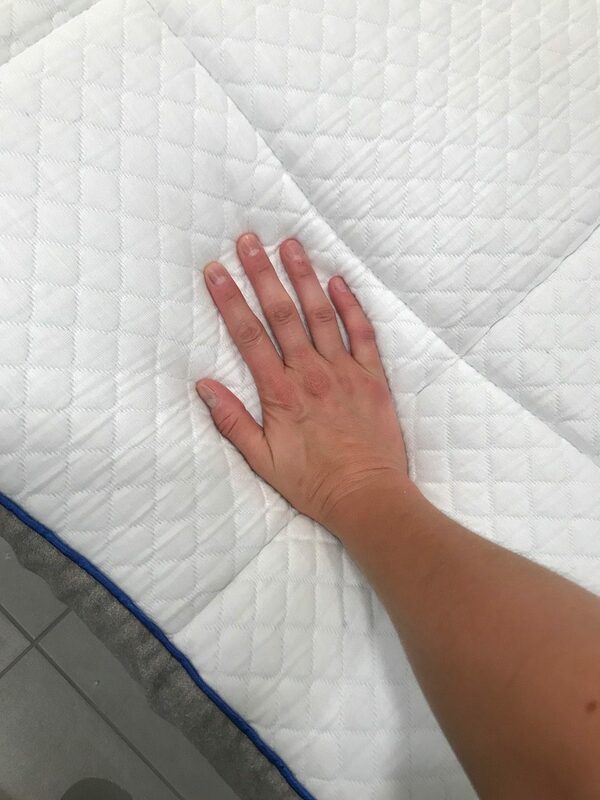 The first layer is made up of quilted gel memory foam. This layer serves as a comfort layer that provides loft and air circulation. A breathable comfort layer is vital to sleeping cool. The second layer is another gel memory foam layer. This layer helps balance the weight of the sleeper while providing pressure relief to key points throughout the body. The third layer is a supportive layer made up of Adaptive Hi Core Memory Foam. This layer gives you responsiveness and bounce. The last layer is the base layer. Nectar has a breathable base layer that reinforces all other layers of the mattress. 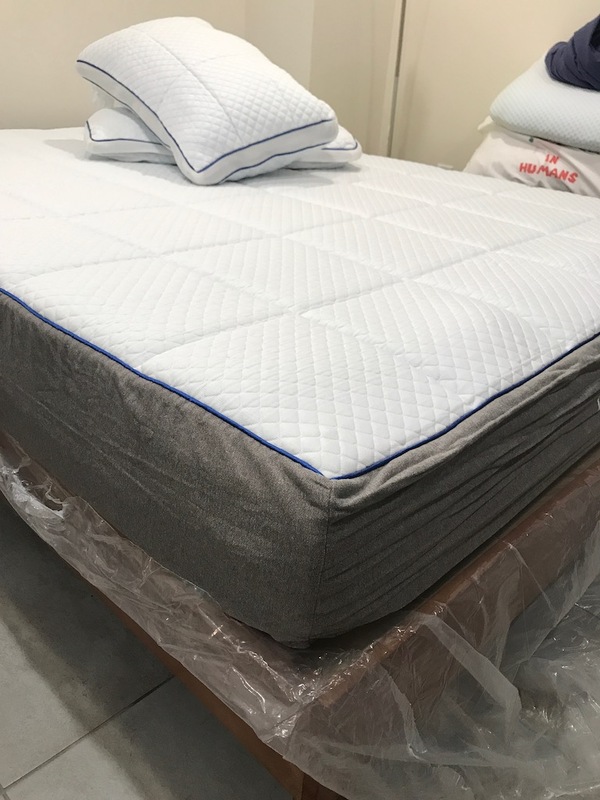 High quality base foam is key to mattress support and longevity. Nectar offers a lifetime warranty so that speaks to the quality of base foam used in their mattress. What type of sleep style works best for the Nectar Sleep Mattress? The Nectar Sleep Mattress is a medium-firm in terms of firmness. The foam is definitely dense so it would rank as a 7 out of 10 on a firmness level. This works with the majority of sleep styles so most people will find the mattress very comfortable. How much does the Nectar Sleep Mattress cost? 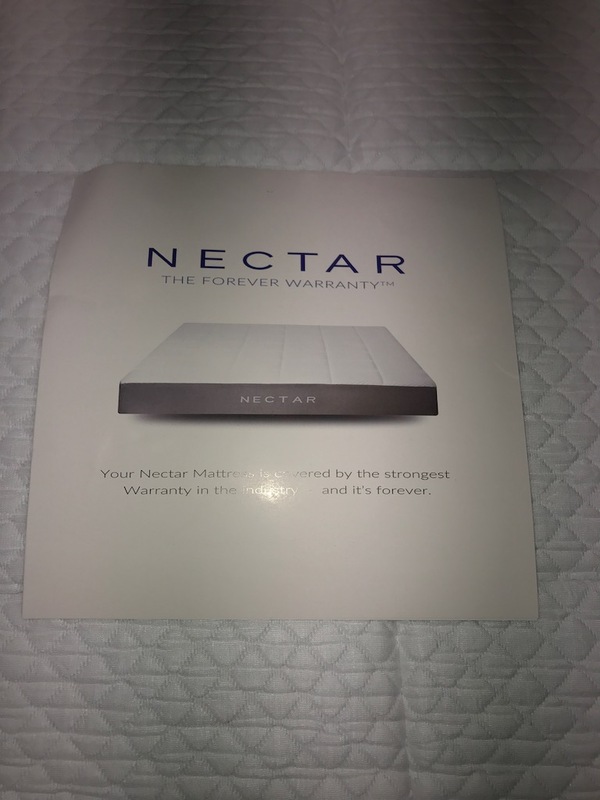 What type of warranty does the Nectar Sleep Mattress have? The Nectar Sleep Mattress has 365 day sleep trial and a lifetime warranty. This is the best warranty and sleep trial combo that you can find in this business. You literally can try the bed for a whole year and still send it back if you change your mind. The people at Nectar are confident in their products. What surface is best for the Nectar Sleep Mattress? We reviewed our Nectar Sleep Mattress on a platform bed. Any hard surface like a box spring, platform base, floor, or adjustable bed would work just fine, though. 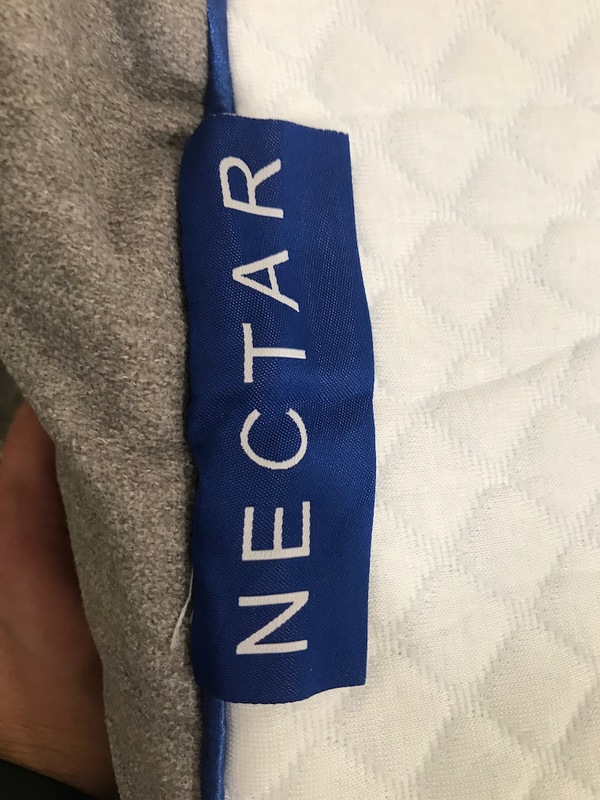 Will my Nectar Sleep Mattress have a smell once it unrolls? Just like with a new car, a new mattress may have a slight “off gassing” chemical smell when immediately unrolled. This smell fades quickly as the mattress airs out. The Nectar Sleep Mattress had a slight off gassing smell but it faded after I let the mattress breathe for a few hours. Do we recommend the Nectar Sleep Mattress? The Nectar Sleep Mattress has a one year long sleep trial and a lifetime warranty. You will not find a more consumer friendly trial. Lifetime warranty is also something you rarely find in anything these days. At $795 for a queen mattress, that’s a deal that’s hard to beat. If you need a new mattress, Nectar would be an excellent choice at zero risk. That’s hard to beat….